Above: Athens, mid 1950's. At my father's workplace, the Angelopoulos metalwork factory. 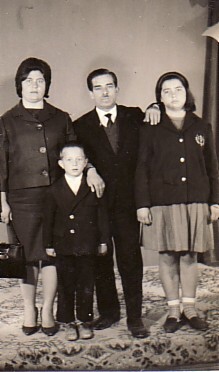 My parents, Aristides and Kleoniki, and I are on the left. 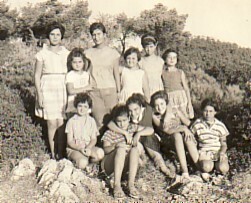 Above Right: On a camp at Vilia, Attiki. I am standing second from right. 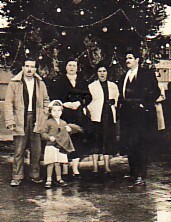 Above: With my parents, Keloniki and Aristides, and my brother, Mihail. Above Right: Family and friends. Standing are Thomas Katsavos and my father, Aristides. 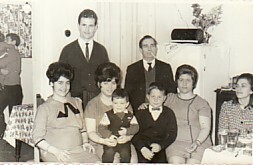 Seated are: Penelope Katsavos, myself- holding Sotiris Katsavos, my brother, Mihail, my mother, Kleoniki, and unknown. 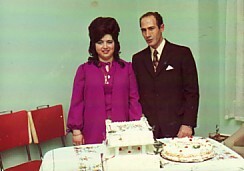 Above: With my fiance, Dimitrios Papakirikou. 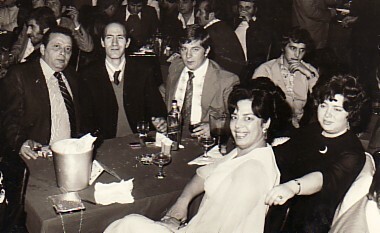 Above Right: At a social dance with Nikos Anagnostou, my husband, Dimitrios, my brother, Mihail and Sultana Anagnostou.